Join us for an evening of dance, entertainment and fun! 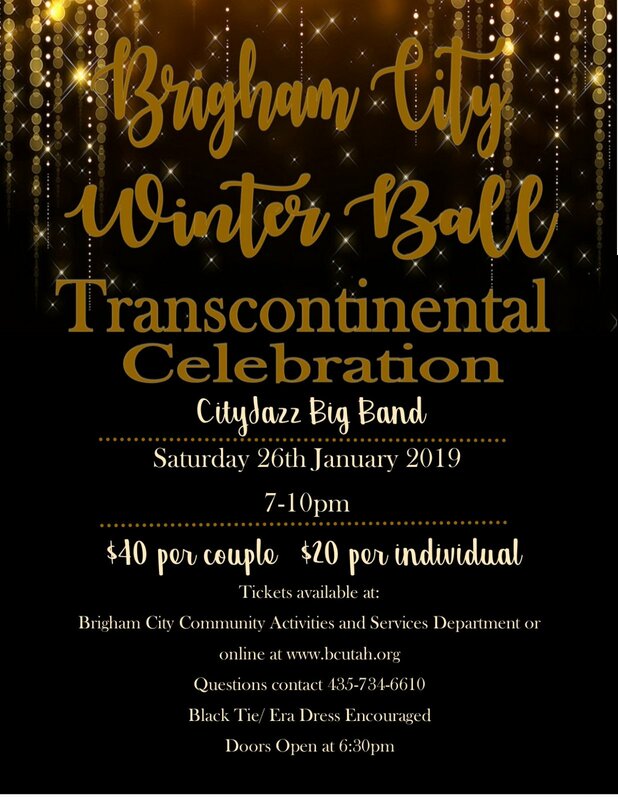 The Brigham City Winter Ball - Transcontinental Celebration will be held January 26 from 7-10pm at the Academy Conference Center - 58 North Main Street, Brigham City. We are delighted to announce our entertainment is City Jazz Big Band a 19 piece orchestra whose mission is to bring the jazz musical art form to the public in a manner that is meaningful, educational and entertaining.